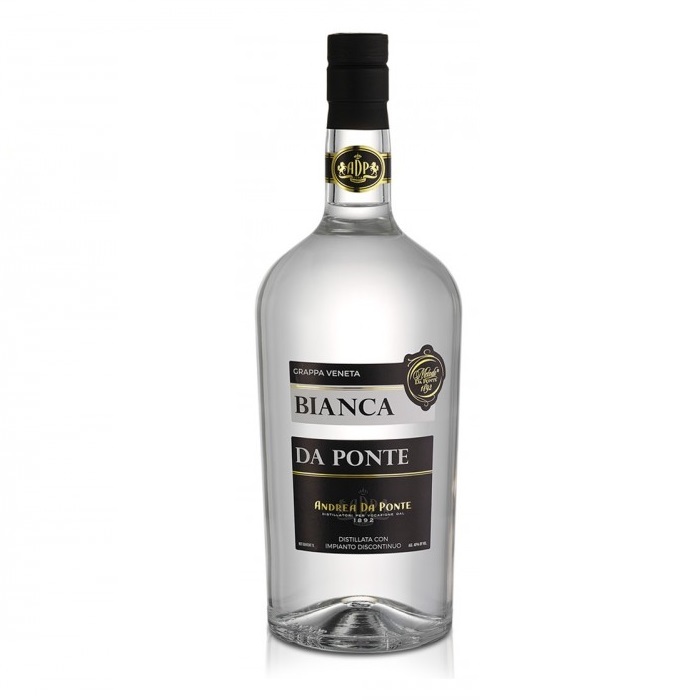 Grappa Bianca Da Ponte is the result of the perfect selection of the marc of Glera, Pinot Grigio, Merlot and Cabernet, which is distilled with an innovative alembic. To create this product, Da Ponte has developed a new discontinuous vacuum alembic which enhances the aromas of the different grapes and satisfies the most demanding palate. Transparent and pure, this Grappa displays a delicate aroma, followed by a full bodied flavour thanks to the vitality of the red grapes.